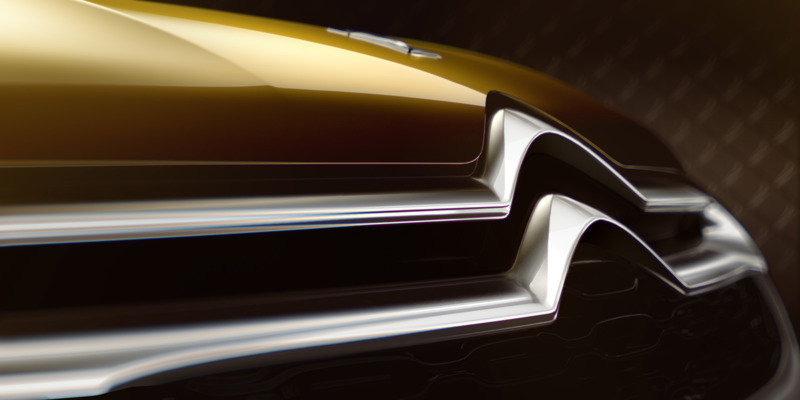 Citroen has released first details of a striking new concept design that will be unveiled at the Geneva Motor Show. 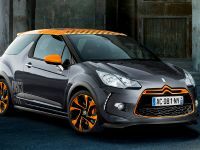 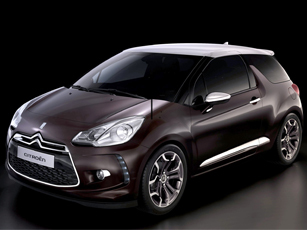 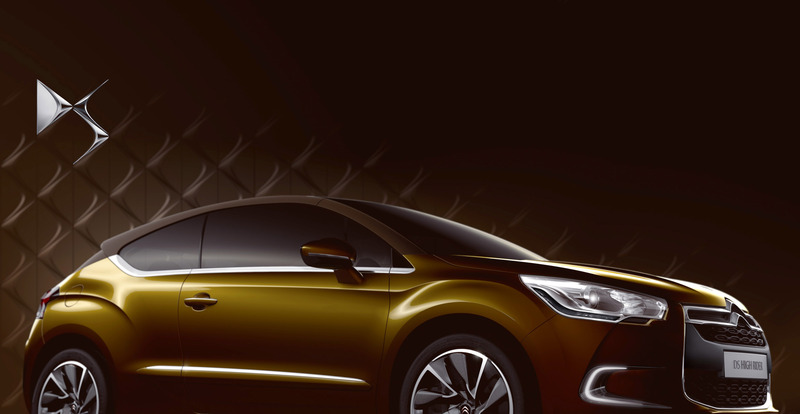 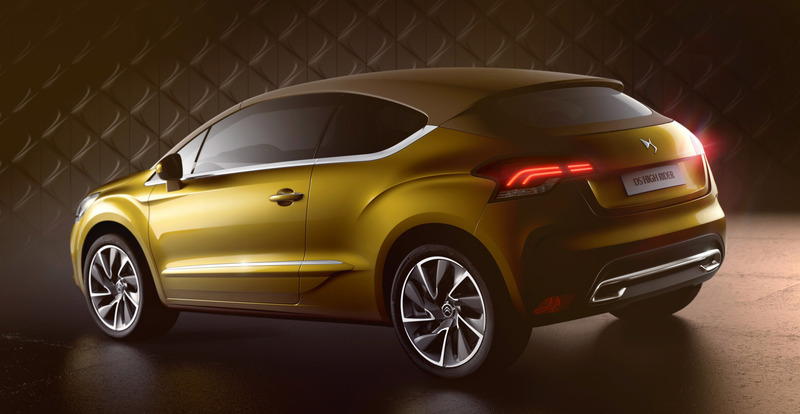 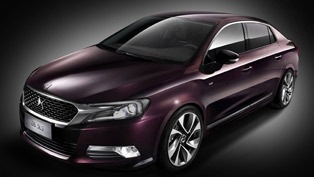 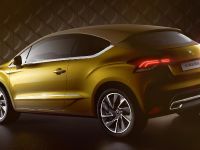 DS HIGH RIDER is the second concept associated with Citroen's innovative and distinctively styled DS line. 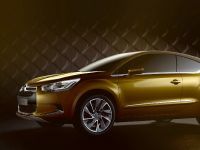 Without denying the appeal of conventional coupés, DS HIGH RIDER represents a bold and radical vision of the future, combining compact dimensions with generous internal volumes, dynamic performance, sophisticated style and consummate quality. 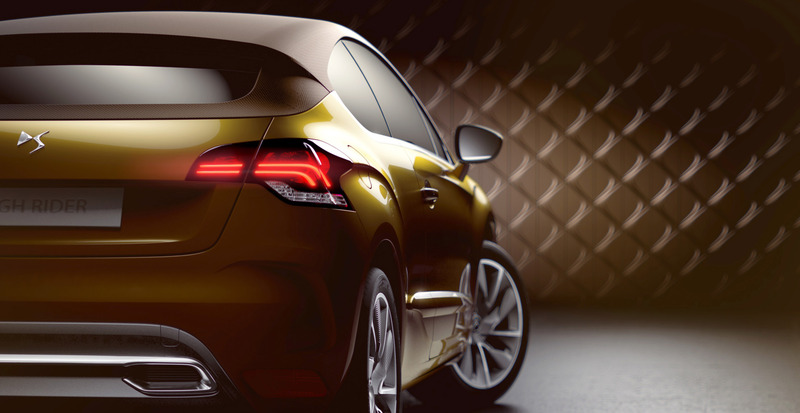 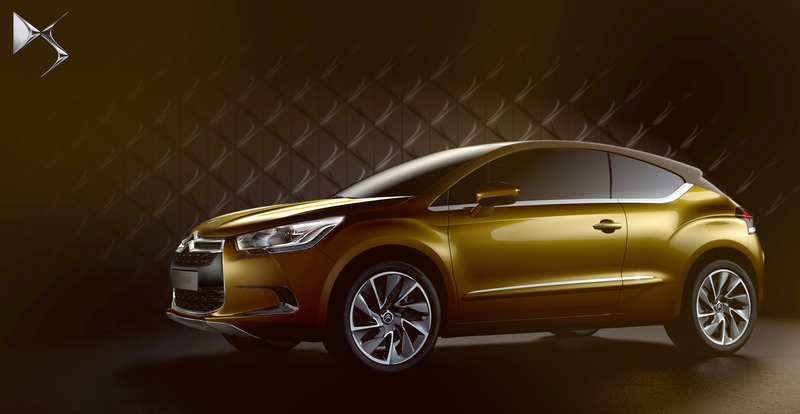 Unlike traditional 4-seater coupés, with their long, low design, the DS HIGH RIDER is compact and muscular. 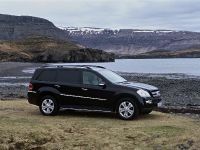 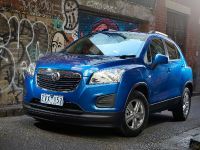 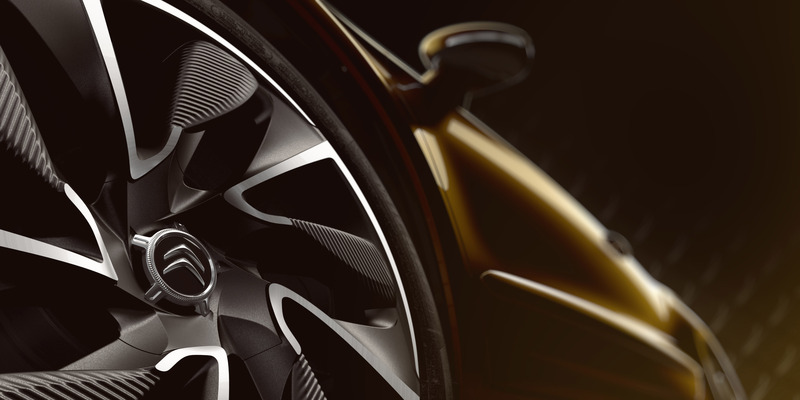 Its character is expressed in its unique driving sensations, with a sleek flowing windscreen that soars over the heads of front occupants - hinting at a bright and spacious cabin environment. 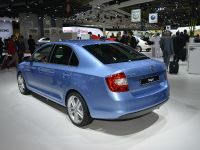 The apparently continuous glazed area of the side windows connects the A-pillars to the gently sloping roof line of the rear. 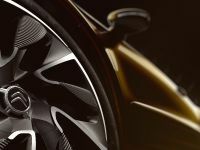 Planted firmly on stylish 19" alloy wheels and beautifully in proportion, DS HIGH RIDER's confident profile is characterised by its high waistline. 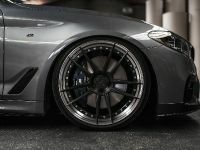 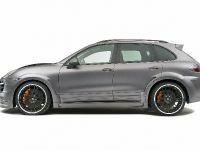 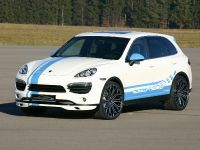 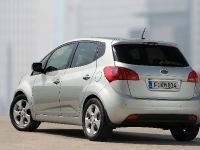 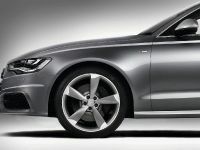 Its front end is purposeful with gaping air intakes, long incisive headlights and defined ridges along the bonnet. 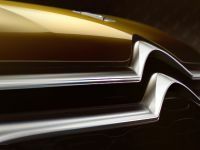 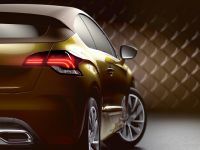 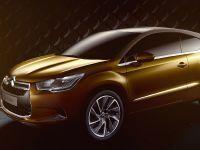 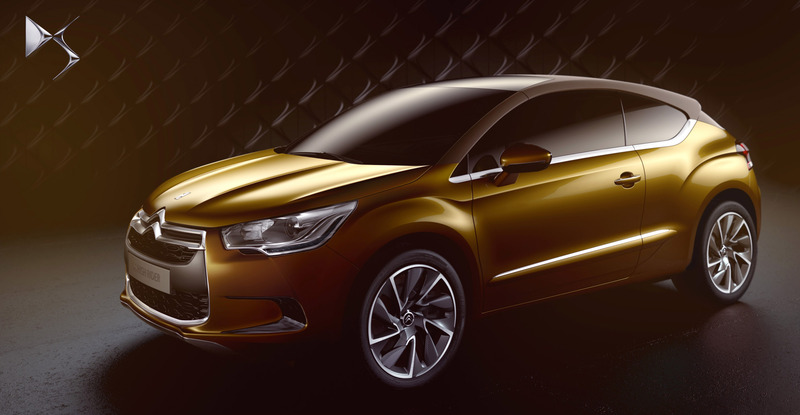 DS HIGH RIDER is an expression of automotive luxury and elegance - exemplified by its glossy golden paintwork and brushed chrome trim that accentuate the car's flowing lines. 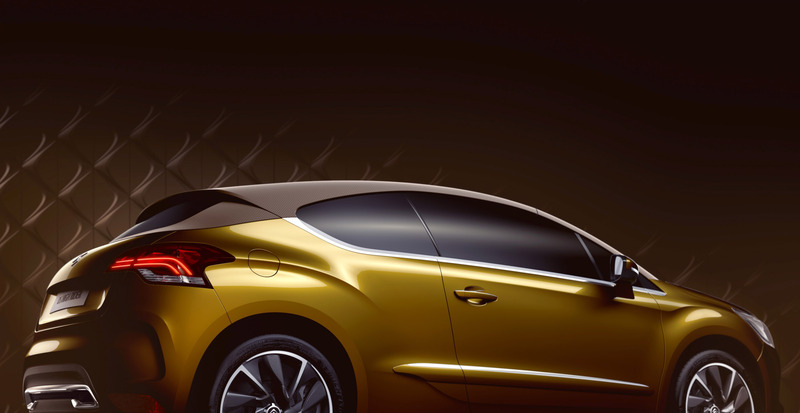 The roof is covered with a coated textile material - a tactile feature of quality. 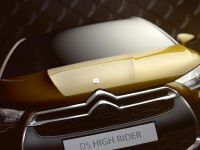 Just 4.26m long, 1.82m wide & 1.48m high, DS HIGH RIDER combines a neat and nimble chassis, for responsive handling, with intelligent design architecture that provides occupants with a generous amount of internal space. 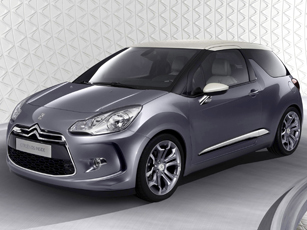 DS HIGH RIDER's ability to rise above conventional design constraints is also reflected in its choice of power. 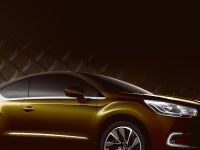 Offering an enjoyable driving experience with dynamic on-road performance, DS HIGH RIDER is respectful of the environment with an advanced ‘Full Hybrid' diesel drivetrain that combines a refined HDi DPFS* engine under the bonnet with an electric motor located on the rear axle. 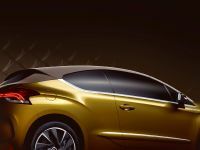 The hybrid platform enables DS HIGH RIDER to combine the fuel efficiency and power of an HDi diesel engine with the ecological benefits of a new generation electric ZEV (Zero Emission Vehicle). 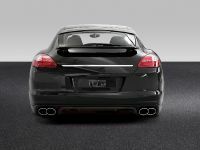 Under certain conditions, both engines combine to deliver additional power with additional torque transmitted to the rear wheels.